I’m sure you’re first thought upon reading the title, there goes ole DT, off on another weird subject. Can’t help it, I like unusual subject matter, especially if it can relate to the dystopian, apocalyptic stories I write. Summer is nearly over, but the Culicidae parasite is still in high season. Plenty of biting insects fill the roster of least favorite critters in this world, but none are as universally despised by the global community than mosquitoes, or mozzies as the Aussies like to say. In my latest tale, a future where humans teeter on the edge of extinction, our hero ponders why mosquitoes continue to have free reign of the environment when 95% of the human race has perished from a plague virus. Some things in life just aren’t fair. 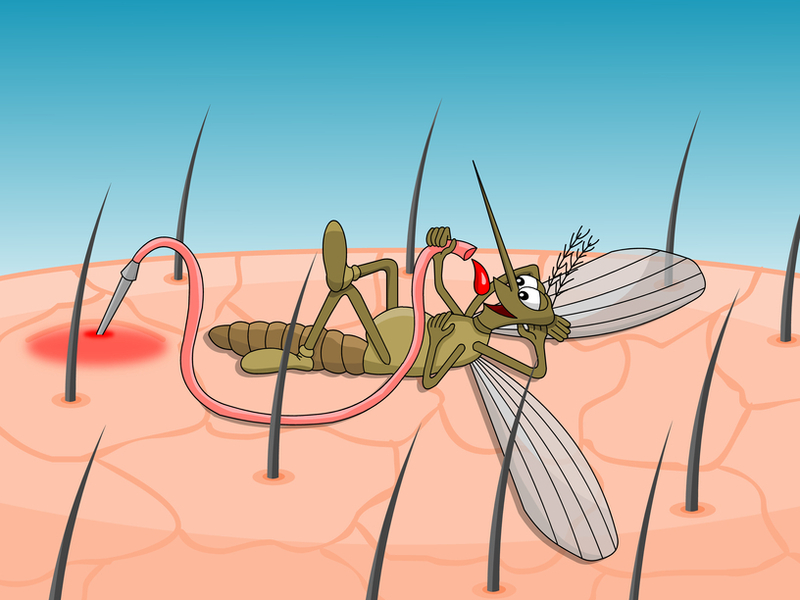 A recent Burning Question article by Heidi Mitchell of the Wall Street Journal, Who Gets More Mosquito Bites – Why some people are itching and scratching while others seem unaffected, reviews a basic primer on the bloodsucker. Heidi reminds us that mosquitoes are attracted to heat, carbon dioxide, and our body odor. Any creature that pumps warm blood can be a filling station for mozzies, but those who feel their body is an aircraft carrier in a conflict zone, it isn’t because you’re blood is any better tasting than the next guy. It’s our human funk wafting in the breeze, our skin an incubus of bacteria and microscopic flora swimming in perspiration rapids. Humans just happen to offer greater surface area by not having fur. Caught in rousing game of slap and scratch, my intrepid hero in the story, Ryan, became an odoriferous flare the minute he walked into the woods, advertising an all you can eat buffet with a body odor redolent of stinky cheese. If he’s lucky, his parasitical patron won’t leave a generous tip by injecting one of many diseases as thanks. Ryan is more concerned with the impending end of earth’s anthropogenic era. As for the mosquito, it’ll get a hall pass to man’s extinction, and will be right there when it happens, waving goodbye as it heads out to feast on the increased animal population. Funny post, DT! Mozzies love me, especially those ones we affectionately call “no-see-ums”. Must be my perfume, LOL. And I always wondered why “skin-so-soft” was considered a repellent. Keep slapping. Thanks, Marlo. Hey, you’re speaking to someone who has an outside screened tent for writing. There is NEVER a time you can sit outside here without being bothered by moskies. I have it on good authority that alligators don’t mind them at all. You are truly in mozzie world down there on the bayou. I read somewhere it’s your state bird. I have to believe mozzies can’t penetrate alligator hides, but I could be wrong. Even then, gators have the option to dive under. Thanks, Liv. “our skin an incubus of bacteria and microscopic flora swimming in perspiration rapids”. I wonder if I should ever want to shake a hand ever again. BTW, skin-so- soft repels ticks. Thanks for another great read. You remind me of “Good as it Gets”, with Nicholson’s character using handkerchiefs to open doors. Actually Don, sometimes I wonder if our kids shouldn’t have rolled in the mud more often like we did. Too many allergies today. Thanks for reading. Great article! Love the cover! I try to keep it a bit on the lighter side with such serious subject matters, LOL. Thanks, Mary.